Before we begin, make sure you have already applied mascara and you have cut the end of each false lash so that it fits the length of your eye. 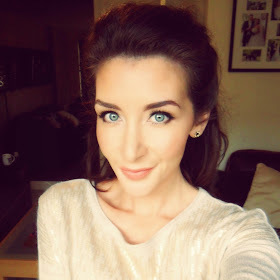 My last tip before we start is to sit very closely in front of a large mirror and TAKE YOUR TIME. 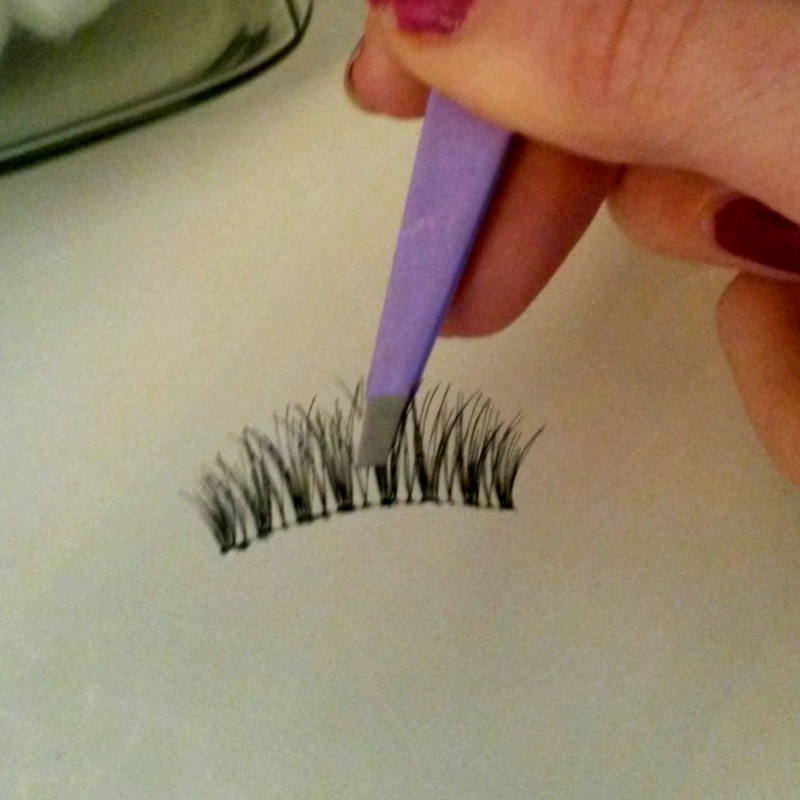 False lashes are twiddly little things, and when I'm applying them I suddenly appear to have giants hands making it really difficult to control. 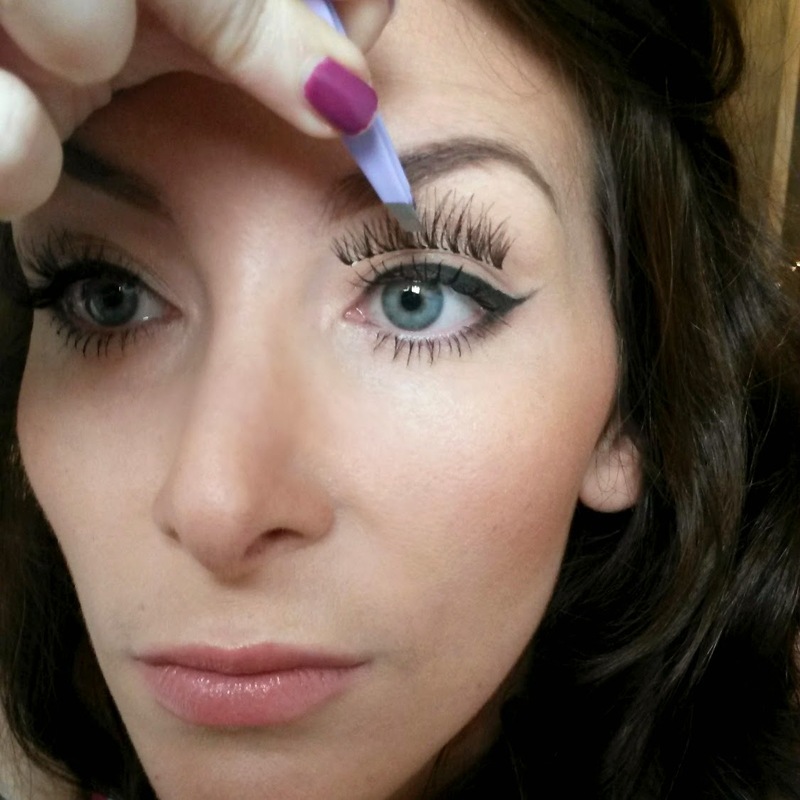 Once you've added the glue, use the tweezers to pick up the middle of the false lash. 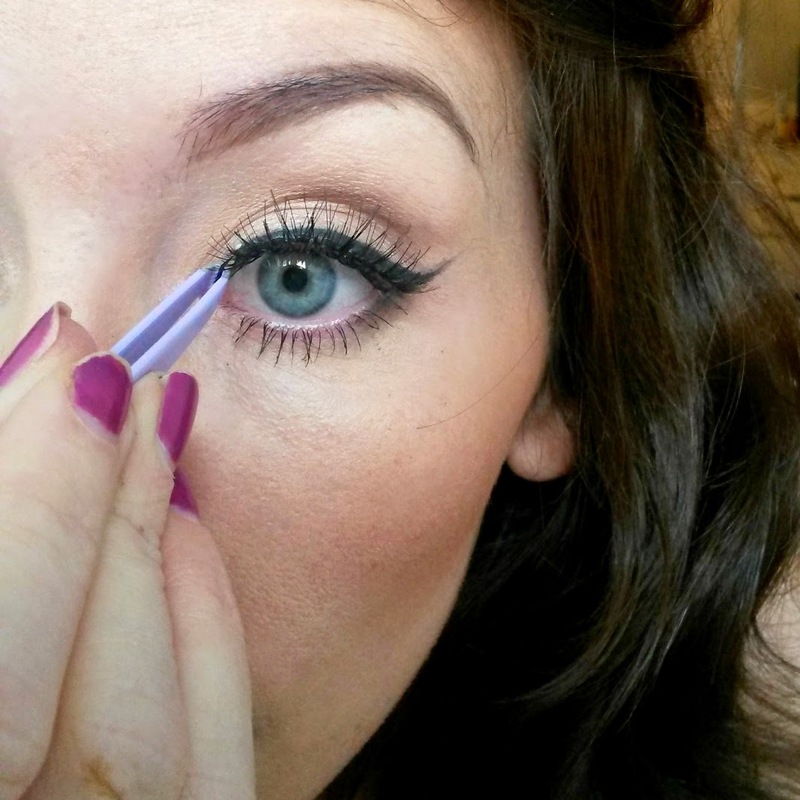 Match the center of the false lash (where the tweezers are) with the center of your eye - keeping your eyes open! 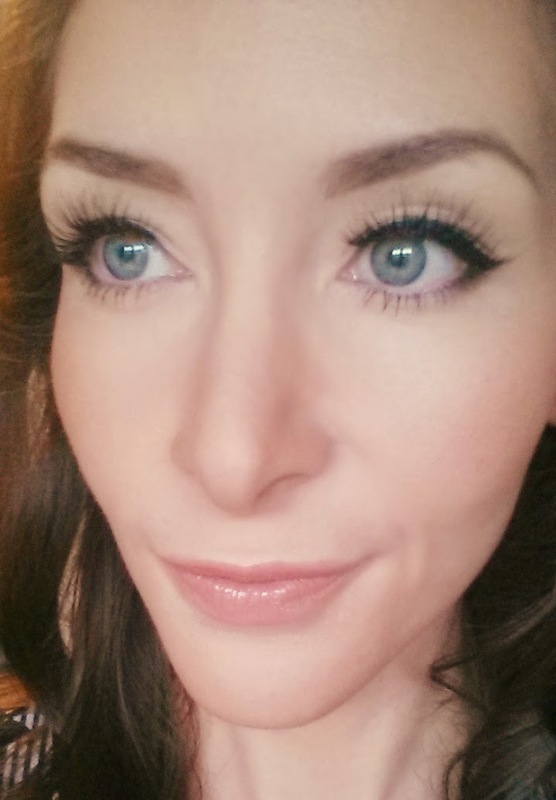 When you're sure you know where the middle is, place the lash on the eyelid directly behind your real eyelashes. 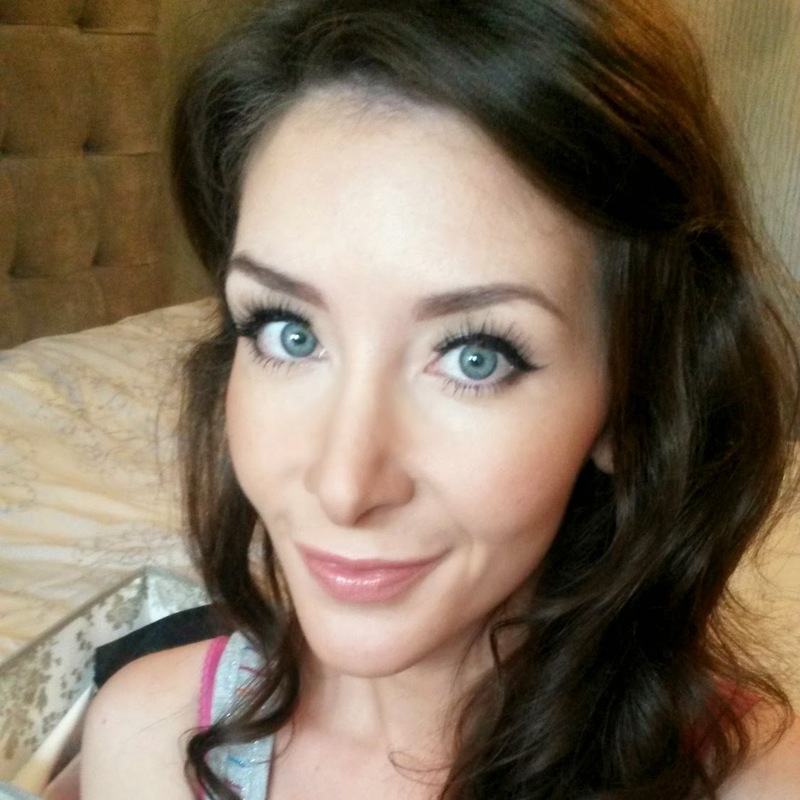 I use my natural lashes as a barrier. 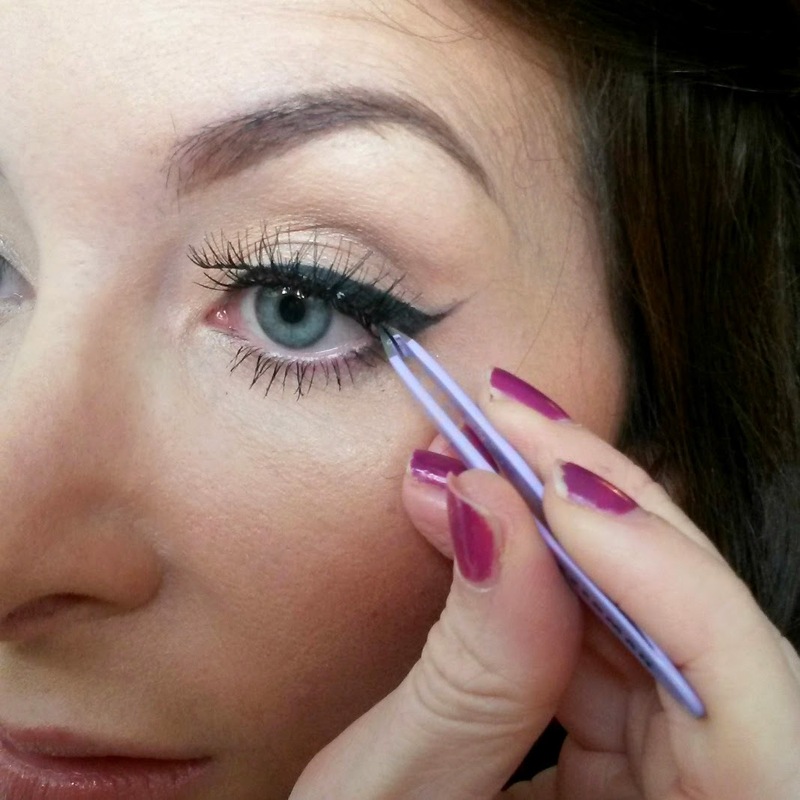 Pull down the inner corner of the lash onto the inner corner of your eye. By this point the lash should fit perfectly. If not, you should still have some time to tweak it before the glue dries. With the pad of your middle finger gently press the very tips of the lashes - this just ensures that they are stuck down properly. 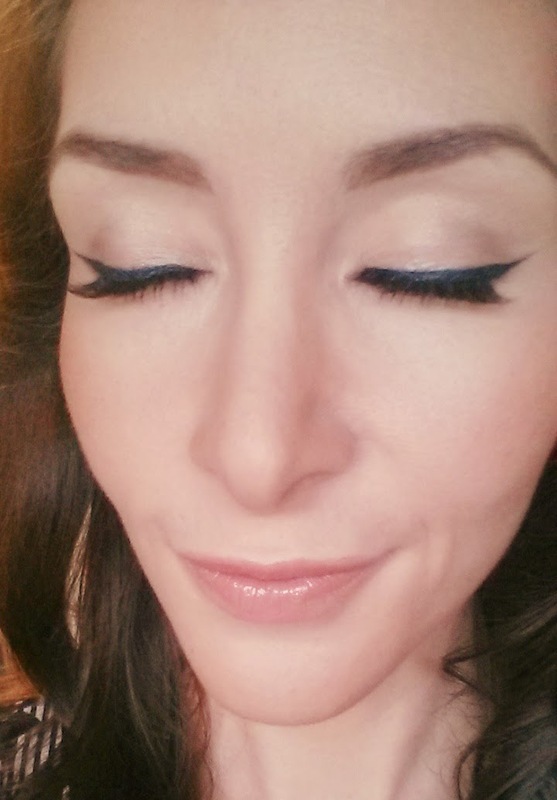 It sometimes helps if you then apply a black gel or liquid eyeliner to hide the fake lash line. DONE!